UFC middleweight Mark Munoz successfully hosted the grand opening of Reign Training Center this Saturday in Lake Forrest, California. More than 2,000 MMA and fitness fanatics attended the star-studded event, making the launch a runaway hit. “It’s awesome. I can’t even convey in words how much this means,” an emotional Munoz told 5thRound.com. “I was wanting to be a coach at the end of my college career [at Oklahoma State University]. Joining “The Filipino Wrecking Machine” at yesterday’s opening was former WEC featherweight champ Urijah Faber, his protege and red-hot bantamweight Joseph Benavidez, the legendary Antonio Rodrigo Nogueira, former UFC fighter Renato “Babalu” Sobral, and Strikeforce’s Muhammad “King Mo” Lawal. The 7,000 square-foot facility is designed for professional and amateur athletes, as well as those who wish to lose weight, build muscle, and increase their athletic abilities. In addition, the state-of-the-art gym offers specialized self-defense classes in wrestling, Jiu-Jitsu, Muay Thai, kickboxing, and boxing. 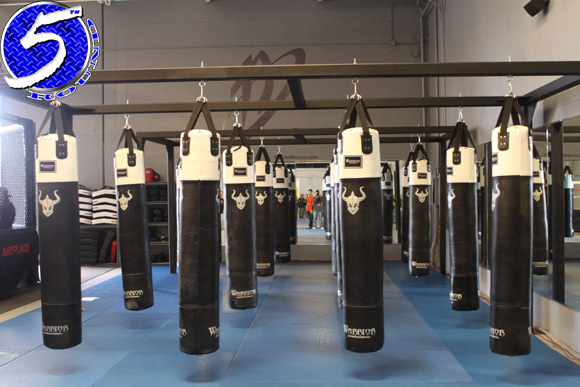 The RTC is outfitted with kickboxing bags, large mat space, a boxing ring, a mixed martial arts cage, as well as top of the line treadmills, stairmasters, elliptical machines, and a spacious weight room to help athletes achieve the highest levels of success. Although the facility is a one-stop-shop for fitness freaks, Munoz’ ultimate goal is to develop an elite mixed martial arts team and turn the sport upside down. It shouldn’t be an issue for the wrestler to attract talent as he also trains at Team Black House, the superior MMA squad that houses UFC middleweight king Anderson Silva, light heavyweight champ Lyoto Machida, and both Nogueira brothers. Munoz also maintains close ties with Faber’s Team Alpha Male camp as he formerly practiced with the Northern California-based team before Reign came into play. Now that RTC has officially launched, Munoz can focus his full attention on Kendall Grove, his UFC 112 foe on April 10th. Munoz holds a 7-1 professional record and was last seen submitting Ryan Jensen at UFC 108 via strikes.